Nostalgia posts are always my favourite to write. I loved my previous post and wanted to do something similar. 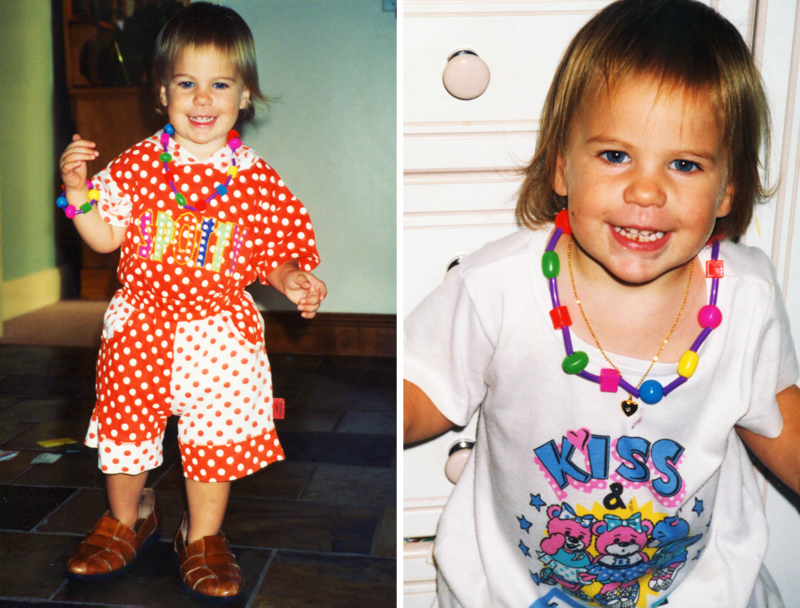 On my birthday, my mum and I went through all our old photo albums. 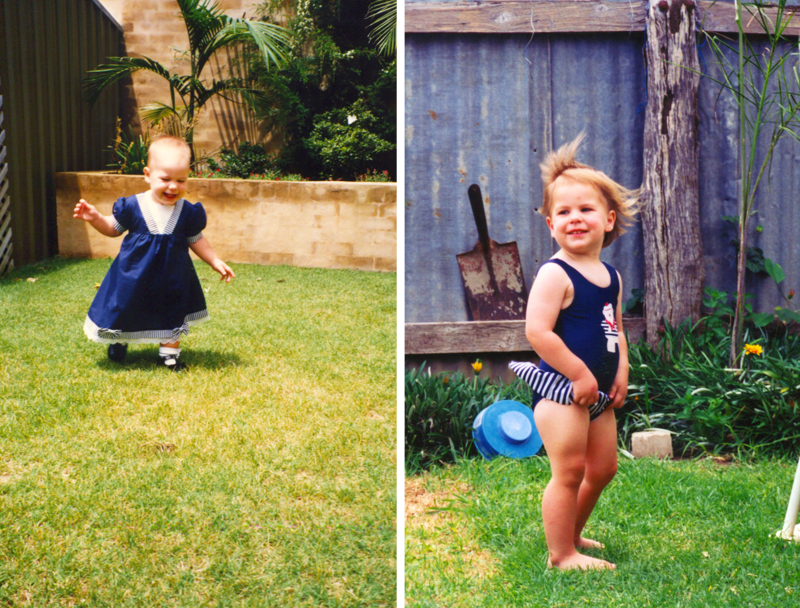 I'm so grateful that mum took so many pictures of my brother and I when we were kids - we're very fortunate that she documented the first years of our lives so well. 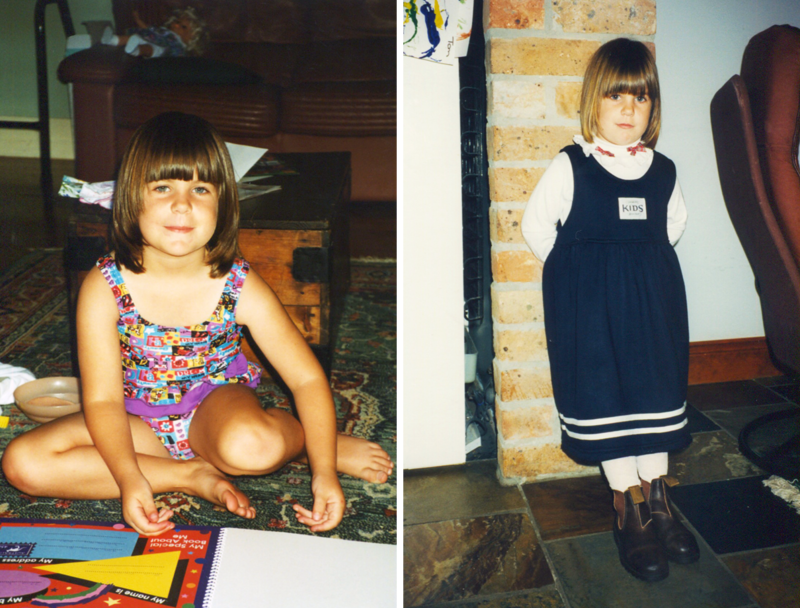 Some people only have a handful of pictures from their childhood which is so sad to me. 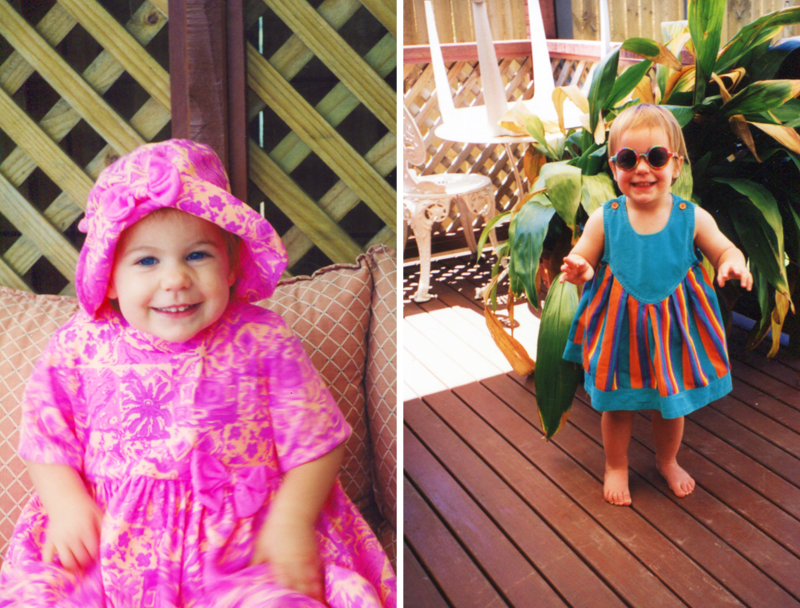 Whilst flipping through the albums I couldn't help but notice the fashionable clothing I wore as a child. I hope you enjoy looking at these pictures as much as I did. 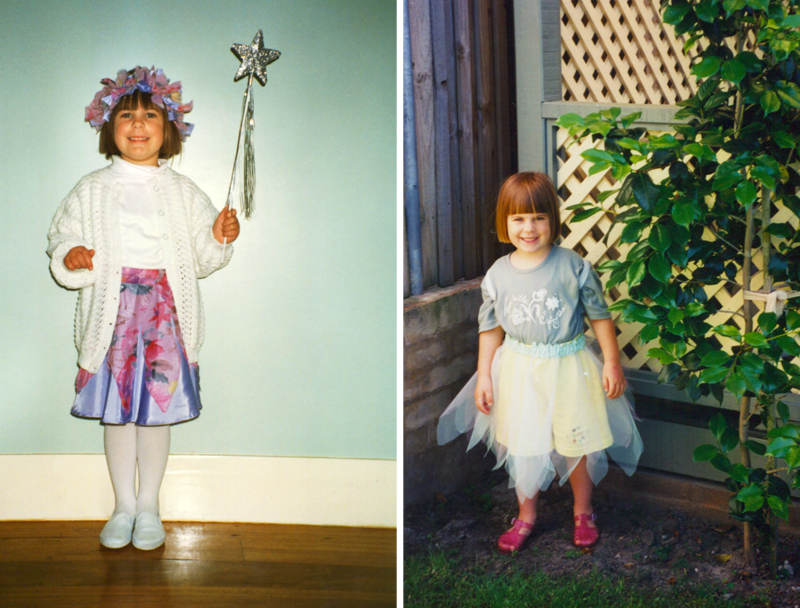 "Apparently I wore this ensemble 24/7" "Cutie"
"The most fashionable toddler ever"
"Rocking the navy & stripes"
"I really loved being a fairy"
"Coolest. Swimmers. Ever." "Nice boots." 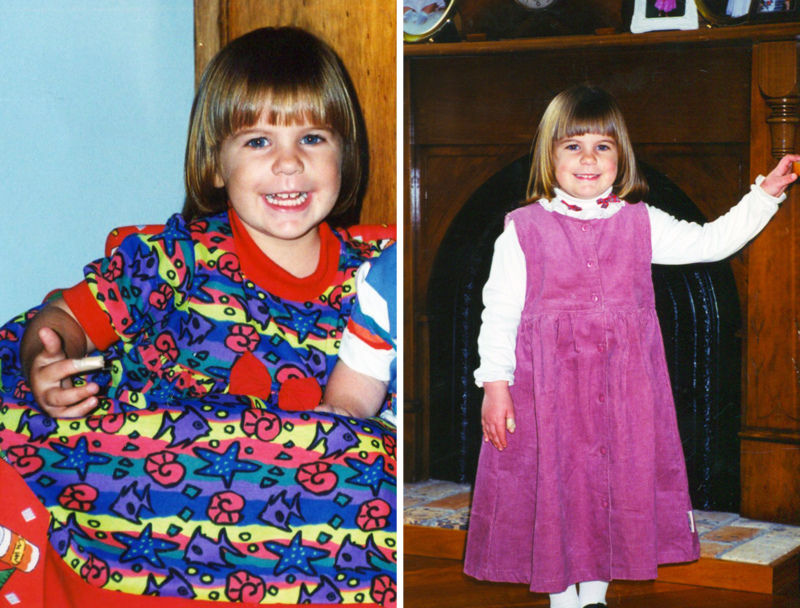 "Epitome of 90s" "All dressed up"
I'd love to see pictures or similar posts about your childhood - there's nothing as fun as seeing what you looked like as a kid. ooooh, the cute! i love the one on the right of you in your navy swimmers, tossing your hair in the wind. 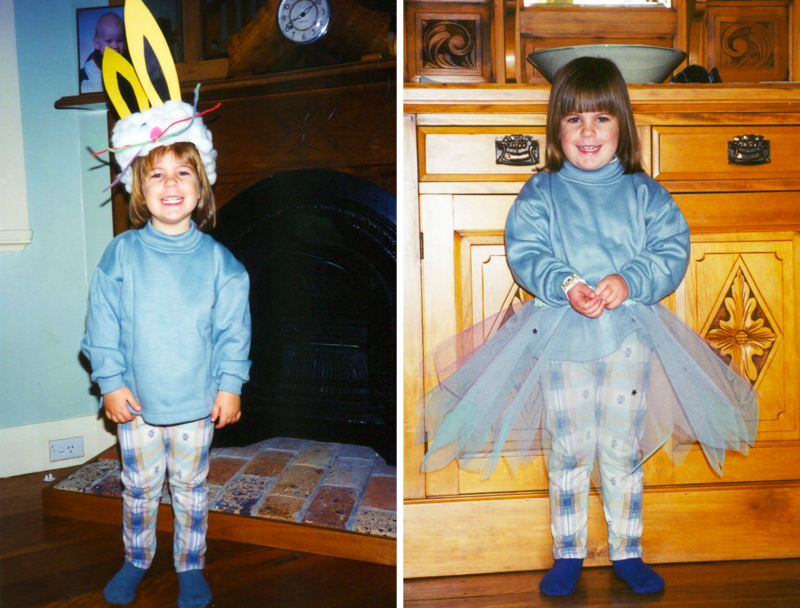 hehe <3 and i was totally a fairy too. 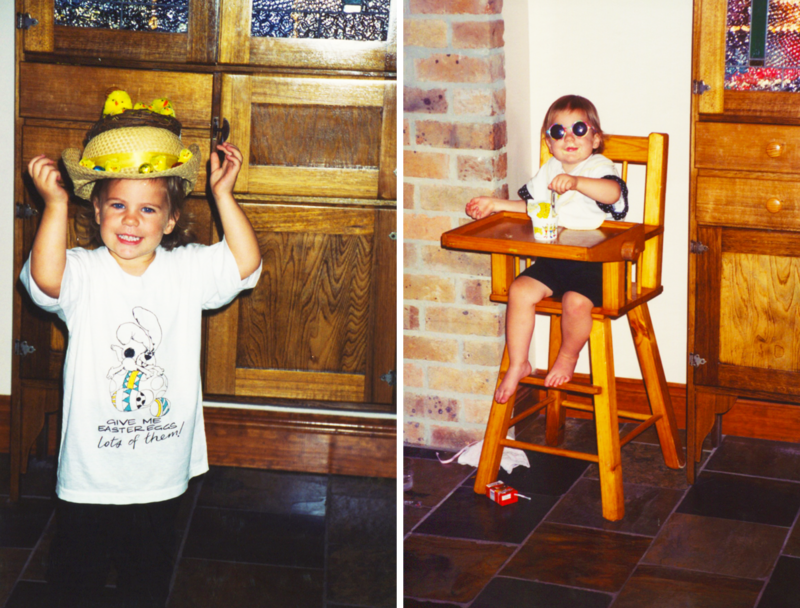 did you ever have to do an "easter hat parade" in primary school? My hair is crazy in that picture haha! We sure did haha. Every year. I really need to find the pictures from it!